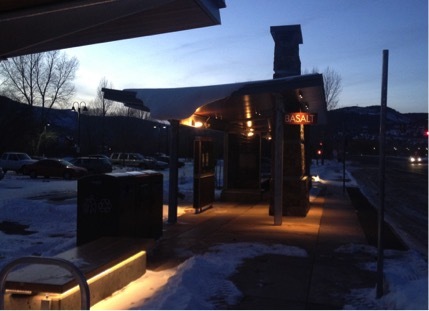 The VeliciRFTA project consists of 13 new bus stations along CO Highway 82 from Glenwood Springs to Aspen CO. The stations consist of new platforms of colored and stamped concrete surfaces, new curb and gutter and drainage improvements. The stations feature galvanized exposed steel columns and beams accentuated with tinted glass and rock veneer walls. LED lighting, interior and exterior benches with LED under lighting, information and emergency phone access, provisions for Wi-Fi and information panels are also components of the new stations. Roofs are a structural insulated panel that has been pre manufactured and then erected on site. Parking is available at many of the stations, and two new parking facilities are also part of the work. All stations have covered bicycle parking on the station platforms for those passengers that desire to ride their bicycles as part of their commute. The covered bike areas also have galvanized column and rafter construction with structural insulated panel roof construction. Recycling and trash containers are at each site. The trash container has a solar powered motor to compact the trash. Real time indication of the level of trash will be available through the station’s Wi-Fi capability enabling trash collection to be scheduled when needed. Electric snowmelt is also a part of the new station construction. Snowmelt is automatic when temperature and moisture indicate the need for the system to operate. The finished look of the station’s striking features is further enhanced with landscaping suitable for the mountain valley location of RFTA’s customers and the travelling public.